Full-year classes begin in October and end in May with a recital. Registration begins the previous June, and continues until January if space is available in the class. Students are grouped according to age, and also according to ability for ages 10+. Some dance classes are offered in 8-12 week series. Check the class schedule for complete information. This is a special program for the most dedicated dance students ages 13 to 18 who pass an audition and maintain a satisfactory academic level in school. Its objectives are to help students achieve high levels of technique and performance as they hone their abilities in pursuit of their goals. 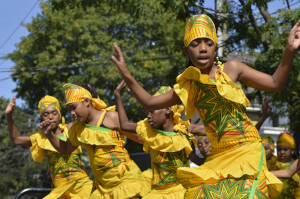 The program includes African, Modern, Ballet, Hip-Hop, Tap and Choreography.